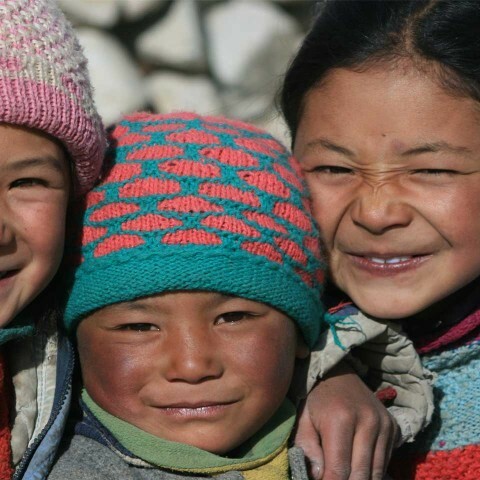 Zanskar remains one of the very few places on Earth that, for several months every year, becomes almost entirely isolated from the rest of the world. It can only be reached, or left, via the frozen river Zanskar. 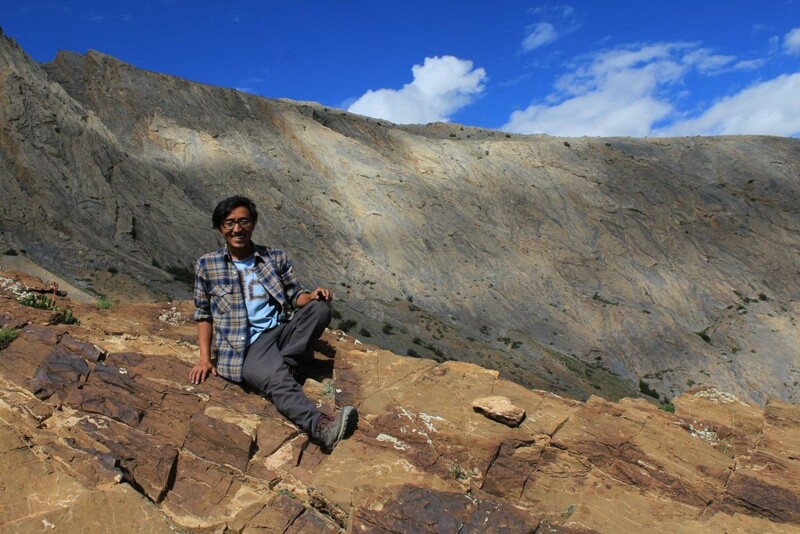 Our guide Phunchok Motup – also known simply as Kalyan – comes from that region, and he has shared with us his 10 favorite places. 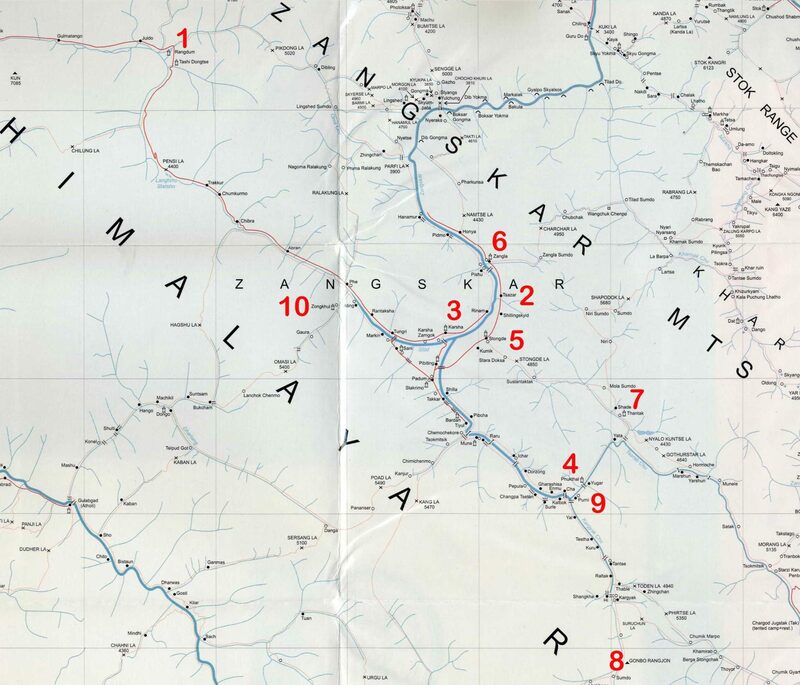 Zanskar is part of the district of Kargil, which constitutes the westernmost part of Ladakh. The administrative center of the subdistrict is the small town (but still biggest town of Zanskar) Padum. 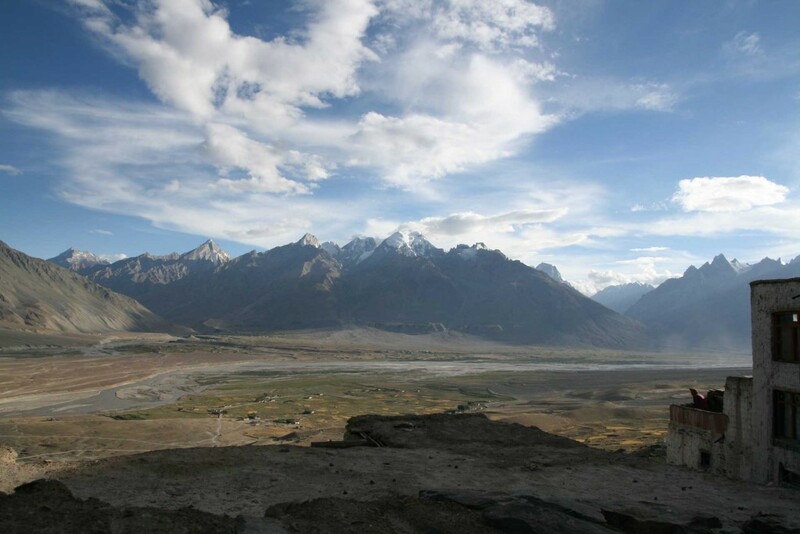 Geographically, the Zanskar mountain range separates this region from the rest of Ladakh. According to the tradition, Zanskar is actually written Zangskar – indicating the presence of copper (“zang”) in the region. The real meaning of the second half of the word is however somewhat controversial: it can be translated as white (“dkar”), palace (“mkhar”) or star (“skar”). Back to Geography: The Zanskar region covers approximately 7,000 km2 at an altitude of 3.500-7.000m. 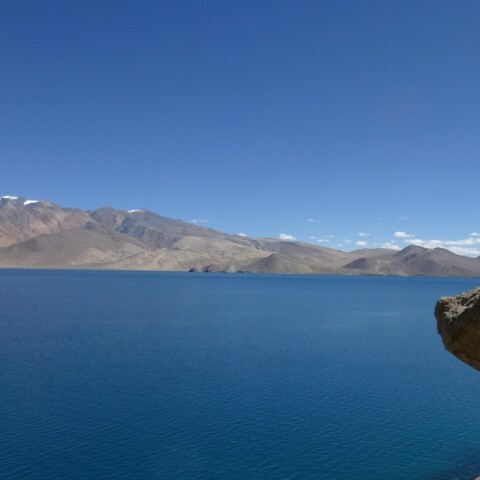 The river of the same name is responsible for the many deep valleys that decorate the country, and is the greatest contributor to Zanskar’s characteristic landscape. It is fed by two rivers: the Doda, which has its origin near the Pensi La (4.400m), and the Kargyak, with its source near the Shingo La (5.100m), which then merges with the Tsarap River and is hereinafter referred to as Lungnak. In the Central Valley of Zanskar, the Doda and the Lungnak combine to give birth to the great Zanskar River. 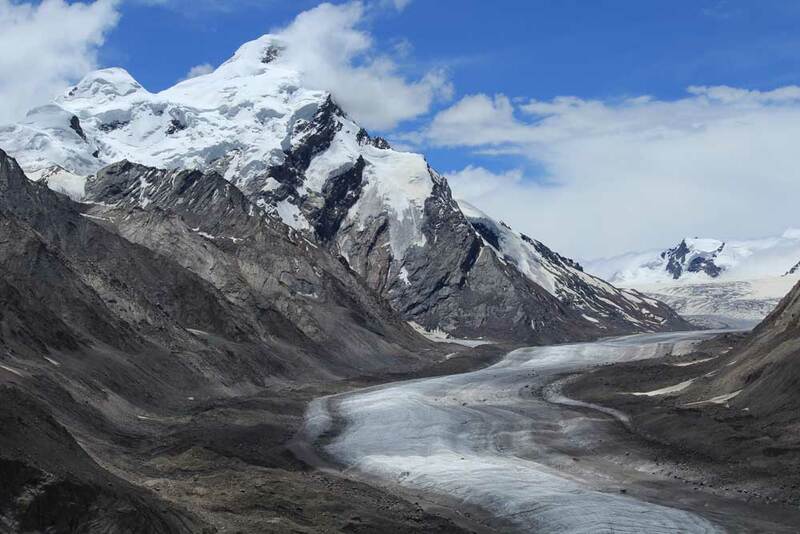 On the way to Zanskar one must go through many breathtaking landscapes … like this glacier. 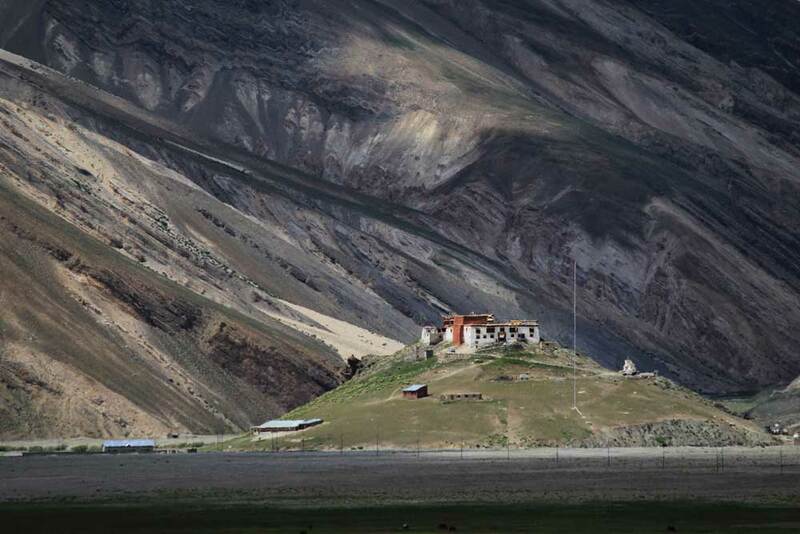 It crosses the Pensi La and takes at least two long days of driving, no matter if you leave from Leh or Srinagar. However, not too long ago they started building the new road, which slowly gropes its way into the center of Zanskar both from the north (starting in Lamayuru) and the south (starting in Wanla). 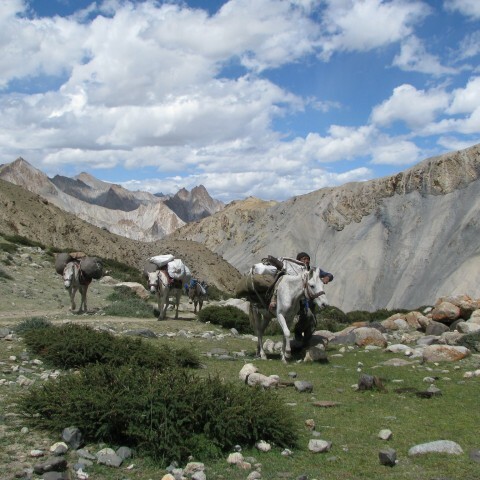 You can find more information about this in our blog post: Why the Great Zanskar trek is not so great anymore. Rangdum is surrounded by mountains and cliffs in all possible shades and colors. Most prominent, however, are the twin mountains Nun & Kun – both 7000s. For me, the mountain views make Rangdum a unique place in the world. In addition, the marshes of Rangdum attract every summer countless birds that are a pleasure to observe and admire. More personally, I associate Rangdum with many happy memories. From here I started the first trek of my life: one April, when the road to Zanskar was still blocked by the snow, I walked all the way to Zanskar over the Pensi La. Tip: Be sure to witness the sunset here! It is really unbelievable. This is the village in which I was born and where I spent my early childhood. For me that’s reason enough to include this typical zanskari village in this list. 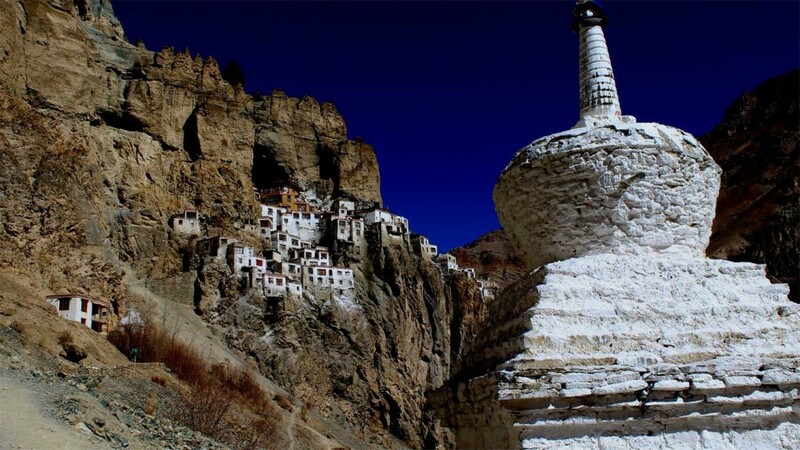 Phuktal is the most isolated monastery in Zanskar. I have often visited it, especially when I was hiking on the Great Zanskar Trek. To get there is always one of the biggest highlights in a trip. The sight and the architecture are truly breathtaking. The place always makes me think of a giant beehive. Stongde is the closest monastery to my village, which is why I have also spent a lot of time there. 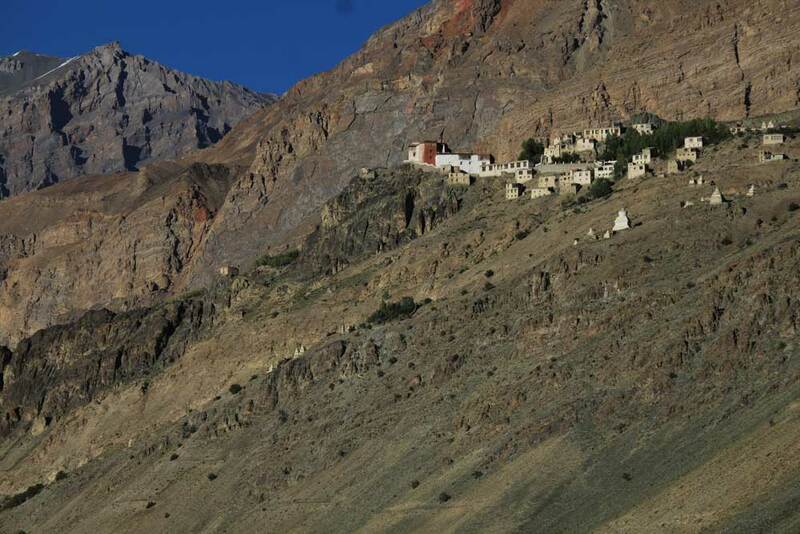 I appreciate the stillness of this place, in addition of course to the magnificent view of the mountains and the village at the foot of the monastery. 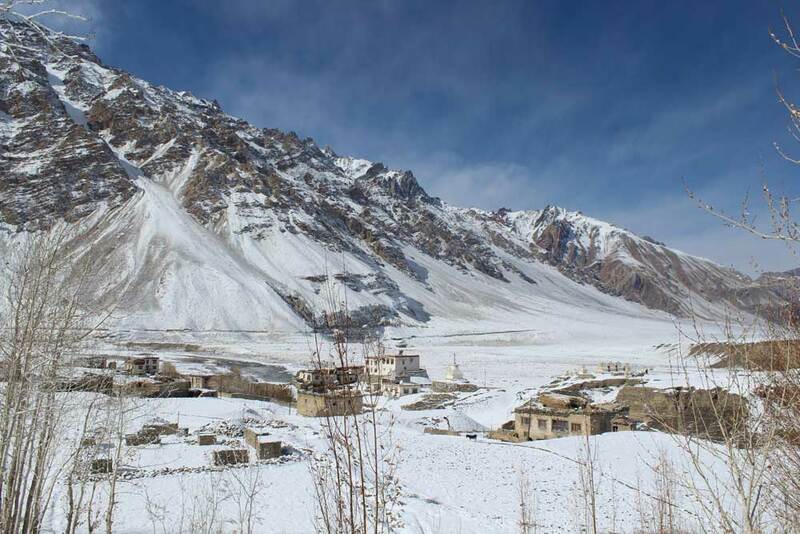 Zangla is one of the largest villages of Zanskar. I love to walk through the town to watch the old people with their prayer wheels, sitting under the warm sun, and listen to them while murmur their prayers. Zangla is the village of my grandmother, and many of my relatives live here. 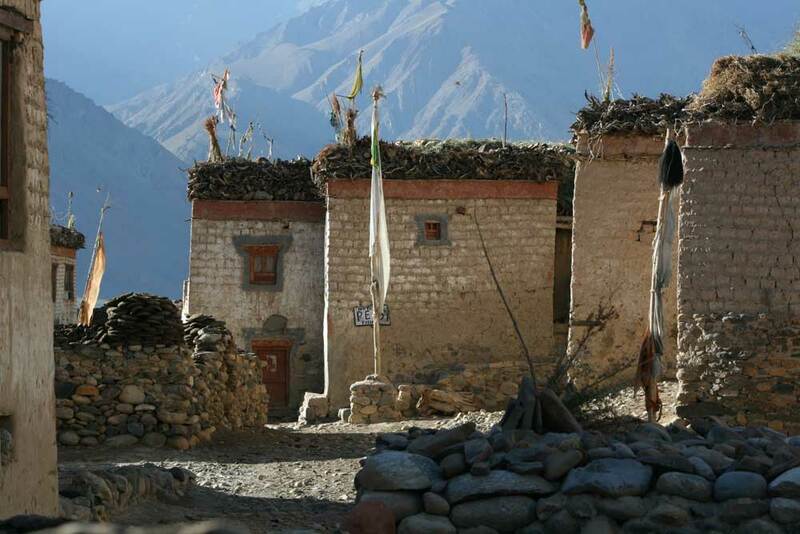 Shade is one of the most remote villages in the whole of Zanskar and Ladakh, if not the world. Even the natives, walking with fast feet over known trails, need at least two days to get here. I was there recently and it was very impressive to see how well here the interaction between man, animal and nature still works. 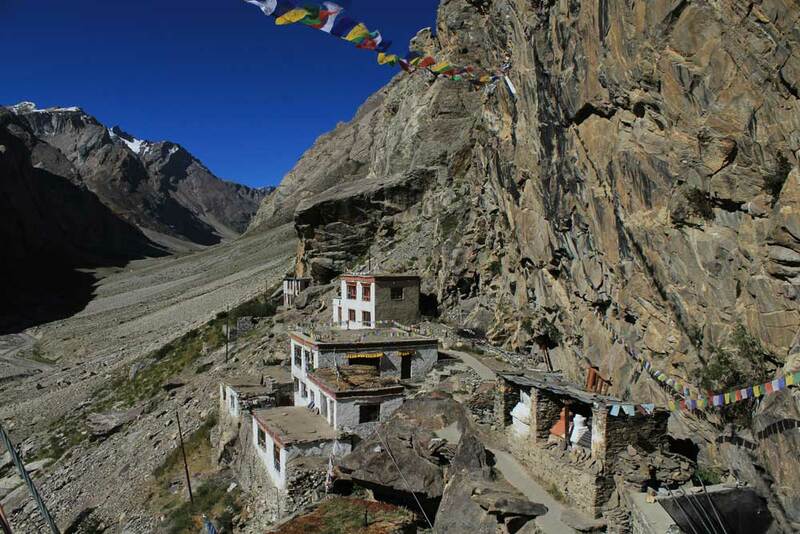 Gonbo Rangjon, a sacred mountain, is located along the trekking route to Darcha, before Shingo La. 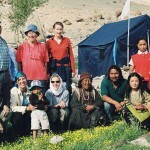 I call the region around Gonbo Rangjon “the summer paradise of Zanskar”. It is a dream to wander here and admire the flowers that grow in the mountain pastures. This beautiful little village is home to just two families. Purne is my favorite camping site, whenever I’m on a trekking tour. The first really nice and homelike Resthouse/Homestay/Hostal with clean rooms and good local food is also located in Purne. Here is a meditation cave of Naropa and many other great lamas were here. From Dzongkhul also starts the route through the Paldar Valley. 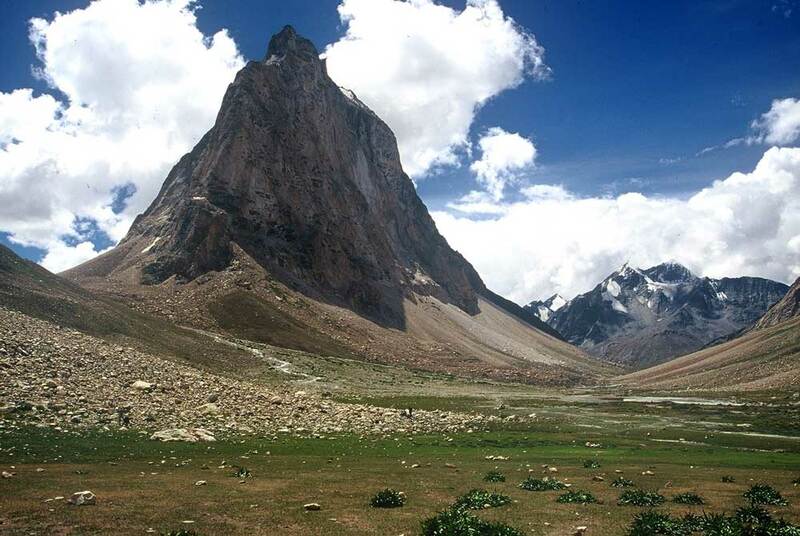 I’ve always liked the stories from travelers who came through this valley: the Paldar Valley connects Zanskar with Jammu and until today, people from both sides use it to meet, share and commerce with each other. Also Zorawar Singh, who took Ladakh from the hands of the Maharaja of Jammu, started his campaign here, leading ultimately to the loss of independence of the country. 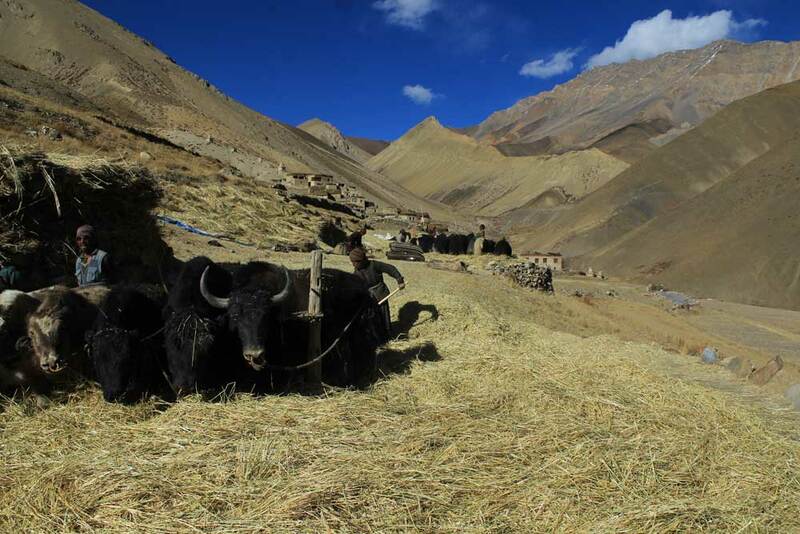 On the tour route Trekking & Culture in Zanskar Kalyan will show you almost all of these places and tell you a lot more about each one.